This week to celebrate Information Awareness Month, we have done a series of posts on emerging digital information management challenges, such as digital business transitions, digital disposal, social media management and cloud email. In the last of our IAM posts however, we are not looking forward to see what is coming but are instead looking back to remind ourselves about some core information management fundamentals. This retrospectivity was inspired by a couple of fantastic TED talks I heard recently. The first is by ecologist Deborah Gordon and was presented in March this year at the annual US TED event. Gordon gave an overview of the research she has done over decades to study ant colonies. She has done extensive analysis to determine how ant systems function effectively without any centralised control. Her research seeks to understand how thousands of individual connections between individual ants can together create a network which governs the actions, behaviour and responses of the entire ant colony. Gordon’s research is being put to extraordinary use. It is being applied to improve the efficiency of data networks, to better understand brain function, to build better robots and to improve the effectiveness cancer treatment processes. 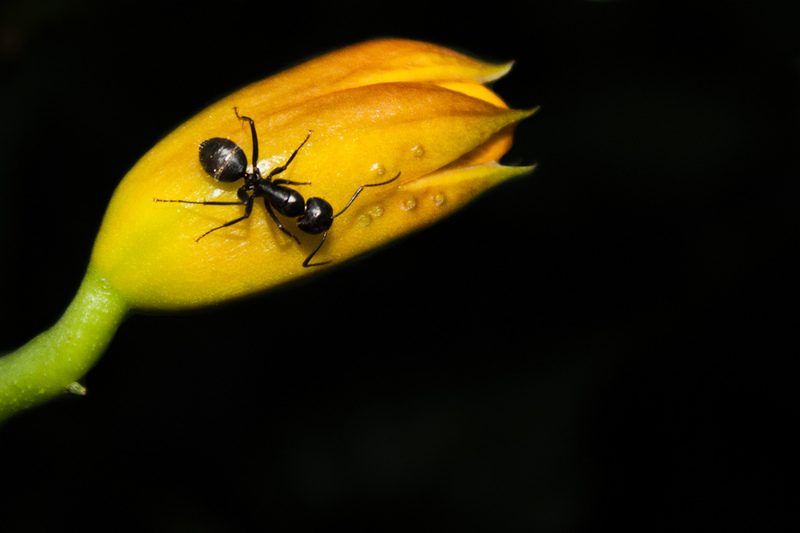 The theory being applied is that ants have had 130 million years to develop the most effective means of using complex networks to communicate and to search for resources and therefore, rather than trying to develop our own solutions to complex communication and searching challenges, we should instead utilise the work that ants have spent 130 million years refining. I also thoroughly enjoyed a talk by Andrew Parker on a similar theme at TEDx Sydney last year. Parker, of the Natural History Museum in London, spoke of his work on biomimetics, the copying of good design already found in nature. He too emphasised the message that we need to respect and be alert to insights and intelligence that have evolved in specialised environments through time. water-capture devices in the exoskeletons of Namibian beetles being used to improve methods of drinking water collection in Africa. It may seem a large leap, but this brings me to the skills and capacities we have developed in the information management world over the last several hundred years. We may not have the millennia of evolution that the animal kingdom has had to refine its skills and capacities but we do have a significant heritage to draw on. This is because for many, many centuries, archivists and more recently records and information managers have had a fundamental role in enabling business through the creation and maintenance of good, accountable and well managed information. Through time, we have built up skills on managing information that other professions now desperately need to leverage. ‘the long now’ of information – what an organisation is going to need from its information in 5, 10, 20, 50 years, not just what it is going to need tomorrow. Today, these areas of core information management practice are fundamental to the creation of sustainable, relevant and meaningful business information. Our knowledge and insights are fundamentally necessary to define how a core business asset – information – should be created, managed and used. So today, we need to share the knowledge our profession has worked so hard and for so long to evolve. Unfortunately however, we are not always called upon to provide these perspectives. As a consequence we have seen information risks proliferate in recent years because information management perspectives are not seen as necessary in current business decision making when in fact they are critical. Because our extensive experience is not drawn on, we are seeing systems being built that don’t adequately manage information, or that don’t consider the longevity of information, the accountability of information, the cross-organisational useability of information, the sustainability of information, the stable interchange of information or the ongoing accessibility of information. As information managers, we have understandings that need to be applied very broadly across the digital transitions and evolutions that are occurring within our organisations. If they are not, core information assets in all our organisations will continue to be at risk. We need to share our hard earned knowledge and experience. We need to contribute what we have learned to benefit others and to safeguard and to fully leverage the potential of contemporary business information. Therefore, like Gordon and Parker, we need to communicate. We need to share our professional insights and then we need to collaborate. As information managers, we cannot solve the challenges of contemporary information management alone. We need to be part of skilled multi-disciplinary teams working together to best meet business information needs. So get out there and flash your iridescent hummingbird wings! Who knows what beauty and value others will find in them. Go out and leverage the momentum of Information Awareness Month, communicate and collaborate and in particular, share the important information management fundamentals that need to be core to business operations in each of our organisations. And finally, please do remember to share your efforts to improve the strategic management of information in your organisation with us here on Future Proof. We genuinely love hearing about all the work that you do. Happy Information Awareness Month everyone!